Profit booking from upper level will be seen today, but keep buy on dips, we may see 8500 as a resistance level, and 8370 as a support level for nifty. Good recovery from lower level buys above 18400 for the target of 18800-18900. Banking and IT stocks led gains as key benchmark indices edged higher after a report that Greek Prime Minister Alexis Tsipras is ready to accept the creditors' bailout terms. A bout of volatility was witnessed in late trade as benchmark indices trimmed gains after extending intraday gains. The barometer index, the S&P BSE Sensex, trimmed gains after hitting its highest level in more than ten weeks. 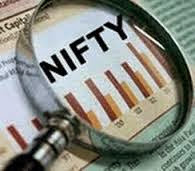 The 50-unit CNX Nifty trimmed gains after hitting its highest level in almost six weeks. The Sensex provisionally closed above the psychological 28,000 mark after alternately moving above and below that level in intraday trade. The Sensex hit the psychological 28,000 mark today, 1 July 2015, for the first time in almost 6 weeks. 1. Kotak Mahindra Bank rose 1.86% after the bank reduced its base rate to 9.75% per annum from 9.85% per annum with effect from 2 July 2015. All categories of loans (other than the exceptions permitted by the Reserve Bank of India) will be priced with reference to the revised base rate, Kotak Mahindra Bank said. The bank made announcement during market hours today, 1 July 2015. 2. Mahindra & Mahindra (M&M) rose 0.62%. M&M said its total auto sector sales fell 6% to 36,134 units in June 2015 over June 2014. Total domestic sales fell 9% to 33,282 units in June 2015 over June 2014. Total exports rose 42% to 2852 units in June 2015 over June 2014. The sales figure was announced during trading hours today. 1. Meanwhile, Growth in India's manufacturing sector output eased last month as new orders rose at weaker rate, according to a monthly survey released by Markit Economics today, 1 July 2015. The seasonally adjusted Nikkei India Manufacturing Purchasing Managers' Index (PMI) dropped to 51.3 in June 2015 from 52.6 in May 2015. Commenting on the Indian Manufacturing PMI survey data, Pollyanna De Lima, Economist at Markit and author of the report, said that new business expanded at a noticeably weaker pace, in part reflecting a loss of momentum in export business. Moreover, manufacturers remained in cautious spirits and employment numbers were unchanged once again. 2. Meanwhile, the India Meteorological Department (IMD) said in its daily monsoon update issued yesterday, 30 June 2015, that the Southwest Monsoon was vigorous over East Uttar Pradesh and active over Arunachal Pradesh, Uttarakhand and East Madhya Pradesh during the past 24 hours until 8:30 IST. 1. In today’s session we have seen call buying in nifty 8300 call so we can consider this as a strong support. 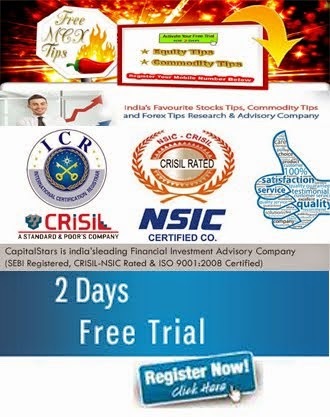 Top Nifty gainers is BHEL, Hindalco, United Bank, IFCI, CIPLA, Sun Pharma. BHEL- Today BHEL opened at 208.20 and gain up to 16.65 point, 8.24 percentage. BHEL gets Rs 7,800 crore EPC order from Tamil Nadu Generation & Distribution Corporation. Hindalco- Today opened at 151.10 gain up to 8.10 point, 5.44 percentage. Hindalco rallies after Alcoa beats estimates with Q3CY14 revenue rising 7% QoQ to USD 6.2 billion. United Bank- Today opened at 41.90 point gain up to 3.05 point, 7.56 percentage. Finance services secretary says United Bank is likely candidate for merger this fiscal. IFCI- Today opened at 34.10 point gain up to 0.80 point, 2.36 percentage. IFCI puts Blue Coast Hotels in Goa on block, reserve price Rs 542 crore. CIPLA- Today opened at 589.75 point gain up to 10.75 point, 1.84 percentage. Cipla Medpro announces collaboration with Teva Pharma for South African market. Sun Pharma- Today opened at 799.50 point gain up to 14 point, 1.75 percentage. Credit Suisse maintains outperform rating on Sun Pharma with a target price of Rs 950/share. In the market, traders known how to invest in Nifty Futures, Intraday traders works in market self dependent but they are not free at a time when market are running. If market goes to any movement thats time traders not a see market movement then loss a money " some traders either lot of money loss or some normal ". Advisory Firms make a those traders whose not a investment self. So we provides better facility to the traders. 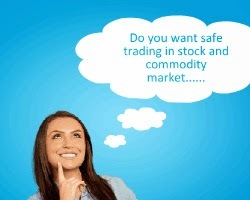 Traders trade in equity and commodity market. Nifty Futures is always better for a traders because 95% accuracy provide Advisory Firms.